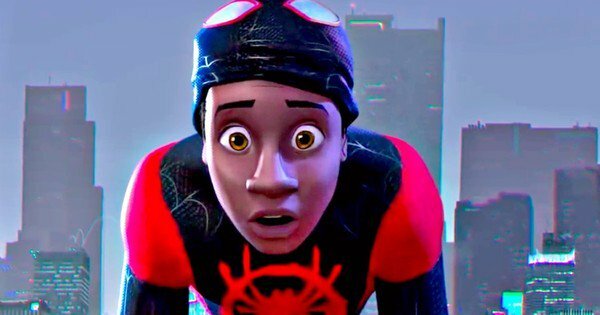 Home / Miles-Morales / spider-man-into-the-spider-verse / Miles Morales Hits the Big Screen in "Spider-Man: Into the Spider-Verse"
Miles Morales Hits the Big Screen in "Spider-Man: Into the Spider-Verse"
In 2018, there will be two people named Spider-Man on the big screen (and possibly more) in Spider-Man: Into the Spider-Verse. Donald Glover has been tapped to voice the character, and Sony Pictures has released the official teaser. In the comics, the Spider-Verse event was a storyline in 2014 where every version of Spider-Man in alternate realities were being hunted by the evil Morlun. No word on how closely the movie follows that storyline, but it will probably have some connection since we see Morales talking to another Spider-Man in this clip. What do you think of Spider-Man: Into the Spider-Verse?